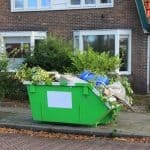 Whether you are clearing out stuff after a long overdue house cleaning session or simply, after spring cleaning, you are bound to end up with a huge amount of waste that will need disposing. When we say it helps you save, we mean it helps save time, money, and the effort that it would require for you to dispose all that rubbish yourself. In fact, skip hire might be the easiest and most cost effective way of rubbish removal there is! Since you won’t be doing anything and leaving the work to the professionals, it will mean zero effort on your part. Then there is also the fact that you will not have to transport the rubbish to the disposal depot. Add to that another advantage viz. not having to pay for another vehicle or any equipment that will be required to transport the waste. Of course, we are forgetting the part about us not having to even come near the waste other than when we have to fill it into the skip. After that, your job would have been done and all you will need to do is wait for someone from the skip hire company to come over and take it away. If you have to manually fill all the rubbish into bins, then you could end up hurting yourself. It is easily done since due to any broken glass and leaky bottles that are within the waste. Thus, hiring a skip can make the whole process much safer since all the handling and disposal will be the skip hire company’s problem and not yours. Those professionals know how to dispose the waste. They will be taking every hygienic measure that they should. Now that we know what skip hiring can mean for your safety and protection, let us talk about how it protects the environment. One of the rules that all skip hire companies must follow is manage the waste that they pick up in a safe and responsible way. They will know how to dispose it and what to with the rubbish. With proper disposal and waste treatment, the environment not only stays cleaner but also safer. Say, for instance, that the waste that you want disposed of is actually the result of some kind of building that you are constructing. It does not matter whether the building is going to be used for residential or commercial purposes, what matters is that while the construction is going on, it stay as safe as possible for you and any others who are involved with it. It is not anomalous for a construction site to be full of waste, such as pieces of leftover glass, metal, or cement, which could end up hurting you. As long as you keep working, you are in danger of getting hurt, if that waste is left lying around. When you hire a skip would mean ensuring superior safety for yourself and anyone else part of the project. It will also mean that injuries that are more serious (and even fatal ones) might be avoided. A huge array of skip sizes makes hiring them even better since the different sizes means that the skips are suitable for all kinds of jobs. Say, you are interested in building a Dutch oven in your backyard or some other relatively smaller project, then a mini skip will be the size to choose. However, if you expect the amount of waste to be considerably more, then the gigantic 40-yard roll-on roll-off skip should be the one hired. As the name suggests, mini skips are the smallest sized skips that are available for hire. Not only do domestic skip users hire these bins but commercial consumers also prefer them. The reason behind their popularity happens to be their small size that is ideal for situations which create small amounts of waste. Moreover, they also come in 2 and 3-yard capacities. Midi skips, as their name signifies, not too small or too large. Their size lies somewhere in the middles, which means they can be used in small-medium sized jobs. When that is the case, they can be used as the primary skip. If you are set on a larger project, then you hire midi skips as secondary skips. They come in two sizes i.e. 4 and 5-yard but what makes them even more perfect is that you can easily fit them in your driveway or at the front of your yard. That means, there won’t be any need of a skip permit. A builder’s-sized skip is one that is a common sight on most building sites. Since they are larger than the midi skips, they come in either 6 or 8-yard capacities. That means they will be able to hold more waste than the midi ones. However, people involved in home improvement projects happen to prefer this skip size because they can use one each for the multiple jobs that will be taking place at the same time. If you want the skip to be large in size but still maintain the skip bin shape, then you should go for a Maxi skip. Maxi skips come in variety of sizes that start from 10 yards and can go up to 18-yards in capacity. Their size makes them perfect for commercial sites and larger residential projects. 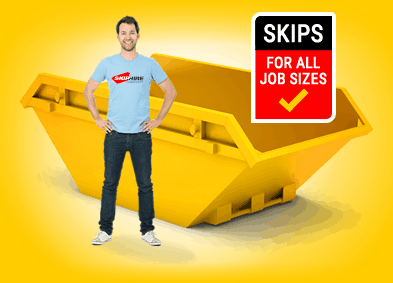 These skips are the largest size available to skip hirers. Their capacity can be anywhere from 20 to 40-yard but they are favored by industrial clients for that very reason. Since the Roll-on Roll-off skip is huge, you will also need a lot of space for its placement. There are so many other customizable options when it comes to skips that you will never find with any alternative modes of disposal. Different shapes, configurations, doors for easy loading, drop-down sides for wheelbarrows, and locks are just some of them!